Thank you for visiting my page...I love connecting both personally and professionally. Most people wonder how one became a chiropractor, and I can say that chiropractic found me (twice). My first experience was involving my sport, as I was a competitive figure skater in my native Canada for 15 years. I was competing at a National Championship and I hurt my hip during the practice sessions prior to the competition. I went to the medical room and I ended up being treated by a chiropractor. It was there that I had my first adjustment, which was startling but was also effective. It got me through the competition soundly. At the time, I didn't think much beyond the idea of chiropractic being about the spine and back pain, and carried on. A few years later, chiropractic came back into my life unexpectedly for another matter that I didn't originally expect it to be. I was doing my postgraduate degree in Physical Therapy and I got very ill in the middle of the program, to the extent that I was taken to the hospital. I was given an antibiotic and I had a severe allergic reaction to it. It left me in much poorer health when discharged and I was struggling on a daily basis with many things to function (eczema, digestive issues/appetite, debilitating migraine headaches, extreme fatigue, sleep issues, to name a few). It forced me to take a year off from school. I ran into an old skating mom from my club. When she saw me in the condition I was in, she handed me a card from a friend of hers--a chiropractor. I thought how could a chiropractor help me in that way, and she said to me that there is much more to chiropractic care than just back and neck pain, and that it will be able to help me. After speaking to my parents, I decided to take a chance and see what the chiropractor had to say. Walking into the office was an experience in itself, as I noticed a full waiting room of pregnant patients, babies, children, and grandmas and grandpas. I realized that every one of them was being adjusted. 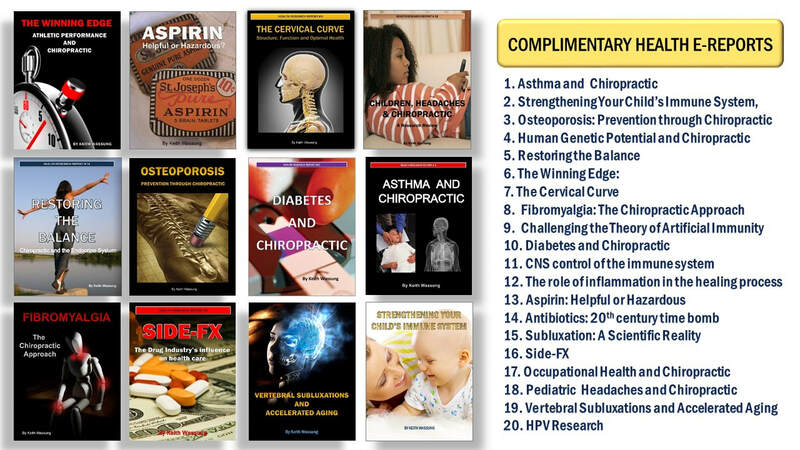 At my first visit, I was very well oriented to what chiropractic was about, more than I ever thought, and how they look at the body health and function and what to expect with the exam and treatment based on my results. I started under care and over the course of the year that I was home, I did gradually get better, stronger and back to health. I started to ask during that year at some point, why pregnancy, babies, kids, etc. All that was said was that everyone needs to be optimally connected to function at their best, and that includes babies up to grandmas. Everyone in that office was happy and healthy and there was a huge energy that I couldn't describe, but to experience it was powerfully uplifting. Towards the end of my year off, when I was having to start planning to go back to school, I spoke to my parents about making a change of path. I was very inspired by my own experience and watching others experience of chiropractic, that I wanted to pursue it....so my journey to become a chiropractor began at Life University in Marietta, Georgia in 2001, but completed at Palmer College of Chiropractic in Davenport, Iowa in 2005. I took in so much during school with exposure to many chiropractic approaches but also it became clear what directions I wanted to take in practice. During my program, I pursued course work outside in pediatric and pregnancy care in the ICPA program, travelling all over the midwest with my classmates who had similar interest. I completed the entire coursework and also received my Webster's certification in 2006. I also pursued coursework in Gardner Methods of Pregnancy which compliment Webster's Methods very well. Pregnancy care has been a fun and enjoyable experience over the last 13 years. I also looked at rehabilitative care, as I wanted to look at methods that would integrate my background in physical therapy with chiropractic care. After graduation, I pursued studies in Chiropractic Biophysics Methods which is effective in corrective changes in the spine over time. Currently, I have pursued some more extensive study into cranial-sacral methods and tonal low-force chiropractic methods, as my own son had problems latching to breastfeed after birth, and it was those methods that resolved it. If you have any health-related questions, feel free to give me a call. I offer a free five minute telephone consultation. Check the box(es) next to the title(s) you are interested in. Select as many as you would like. Enter your best email address. If you do not receive an email within 24 hours, check your "junk" folder, because we do not send "junk" mail.